Finished Mona still on the frame. A some of you may know, I have been working on a project to cover the bathroom walls at the shop with a giant collection of cross stitched pieces in gold frames. For about 3 years now, Ihave kept a master list of the patterns I want to use as well as a list of patterns I want to create. 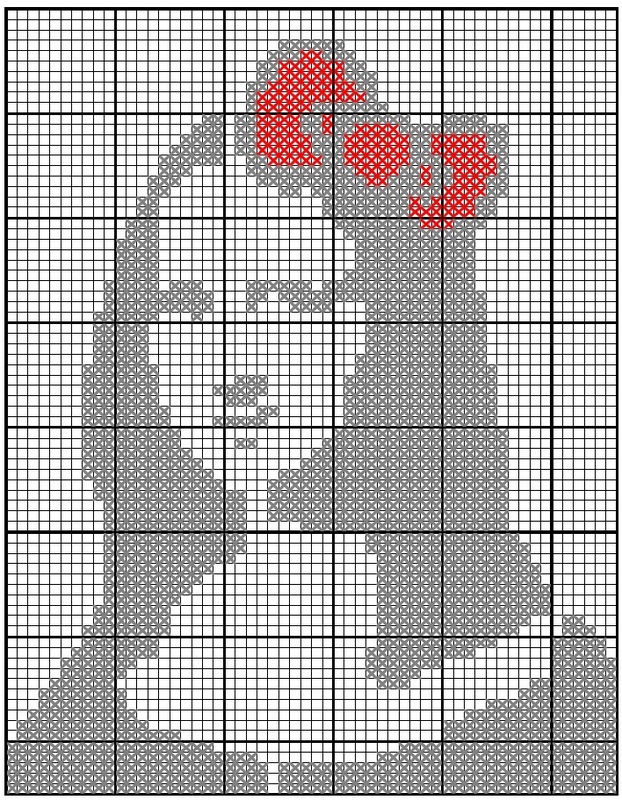 One of the things on my list is to do a series of cross stitch interpretations of street art, mostly local to Lexington. As one of my favorites, Hello Mona was at the top of this list. There are several versions of Mona around town, but I wanted to keep the chart kinda small so I decided to go with plain Mona in a red bow. The finished work fits in a 4"x6" frame and the downloadable chart can be found here. Big thanks to Hello Mona for letting me share the chart. Now for the details. This piece was stitched on 14ct Aida cloth using two strands of embroidery floss, I used less than one skein each of black (DMC 310) and red (DMC 666.) If you want the black sections really solid you can switch to 3 strands of embroidery floss and add an extra skein to compensate. A printable chart can be found here.